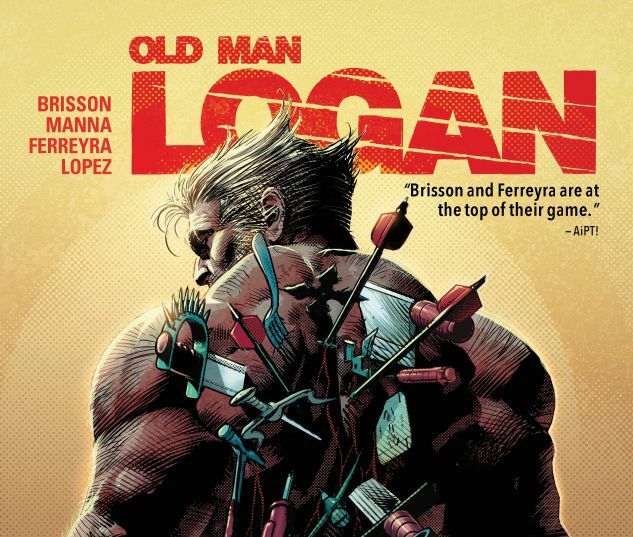 Collects Old Man Logan (2016) #41-45. Old Man Logan is hunted by Kraven! It’s a savage showdown in the Savage Land! Logan is wounded and on the run. But with unrelenting death around every corner, rock, mountain and tree, how long can the tired old man keep this up? And what’s behind Kraven’s obsession with killing Logan? Then, as if one classic Marvel foe weren’t deadly enough, two is even worse — because here comes Bullseye! 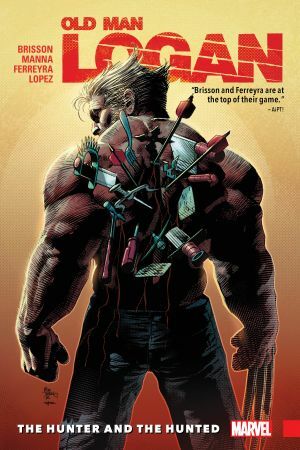 The lethal marksman who never misses is back, with a score or twenty to settle…and Logan finds himself with a target on his back once again! The man who was Wolverine just wants to put a stop to Bullseye’s killing spree — but the mysterious Shadow Tracer is gunning for both of them! This won’t end well…for anyone!